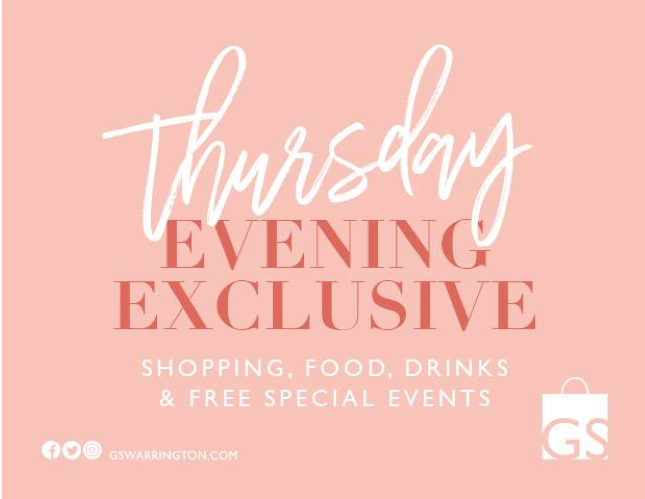 Imagine if late night shopping was added into the mix too – well Warrington’s Golden Square have us covered for a great girl’s night out this week (29 November) with its Thursday Evening Exclusive event. I’ll be heading along for a tasty insight into one of the best Italian restaurants around, ASK. There will be festive canapes, pizzas and drinks to try from its seasonal menu, and top tips on how to make the perfect Christmas cocktail – what a delicious combo! Not only that, but ASK will be selling its gorgeous kitchenware too and I can’t wait to pick my mum something for Christmas – perhaps their lovely wine glasses? Plus, since the stores will be open until 8pm, I have no excuse for putting off my Christmas shopping any longer, so I’ll be heading to the Disney Store, Debenhams, Burton, Menkind, Pandora and Thorntons, to tick a few gifts off my shopping list. Also, it’s Christmas party galore in December and I need a few dress options, so I’ll be having a sneaky peak in Dorothy Perkins, H&M, Monsoon, New Look, Next and Quiz for the perfect party outfit. 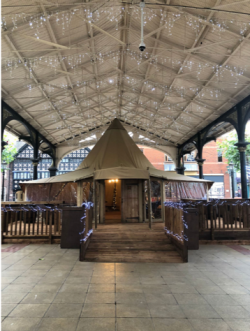 After all that, I’ll be heading to Golden Square’s Christmas TeePee in Old Market Square for a little tipple before hitting the road – pretty good for a weekday, right?